To start your shower planning, you need to decide when to have it and whether it's going to be a surprise. Usually, showers are held in the last two months of pregnancy. If you want it to be a surprise, you will need to enlist the help of a family member (if you aren't one). They can help you find out what day would be good for the shower, who the honoree would like to have in attendance, where they are registered, and most importantly, help you get the honoree to the party without spoiling the surprise. Now, you've set the date, it's time to send the invitations. Decide if you want this to be an all woman shower, or if you are going to invite the guys. If you decide you want the shower to be co-ed, this will probably change the types of games you decide to play. On your invitations be sure to note the date, time, and place of the shower. 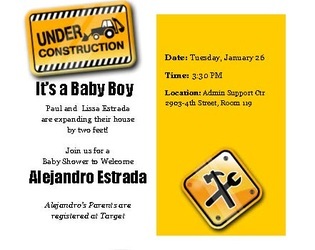 Include your name and number for questions or RSVPs. 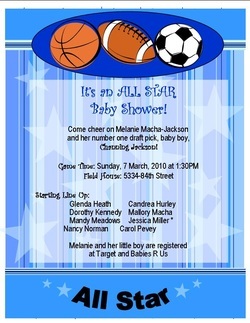 You can also list any shower themes or where the honoree is registered. OK, invitations now sent, you need to decide what party games, decorations and food you will need. It helps to make a list, so you can check off items as you complete them. Friends were having a baby boy and so of course, I was having a party! 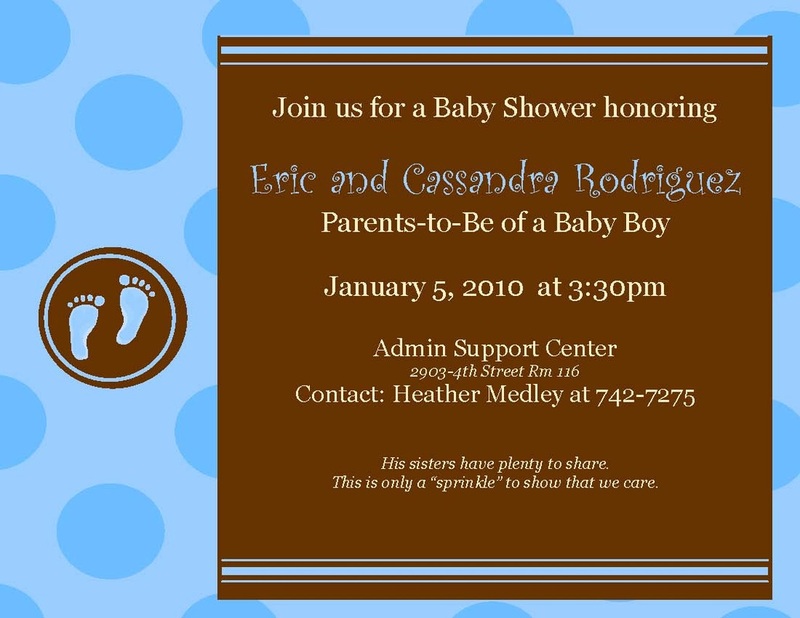 Popular Blue and Brown were the colors for the nursery and the colors for the shower. The circles with the feet in them were used a cupcake toppers and place card holders. Hershey's Nuggets and mailing labels create the perfect personalized candy for any occasion. It's a small touch that draws a lot of attention. And signs, mounted to colored paper and used for decoration add a little flair - especially nice for couples showers - to help the men feel a little more at home. The Milaholic theme can be used for boys or girls and would be an adorable Sip and See after the baby is born. The color scheme is a simple black and white with a 1 color accent. For this event we used a bright green, the same that was in the baby's nursery.